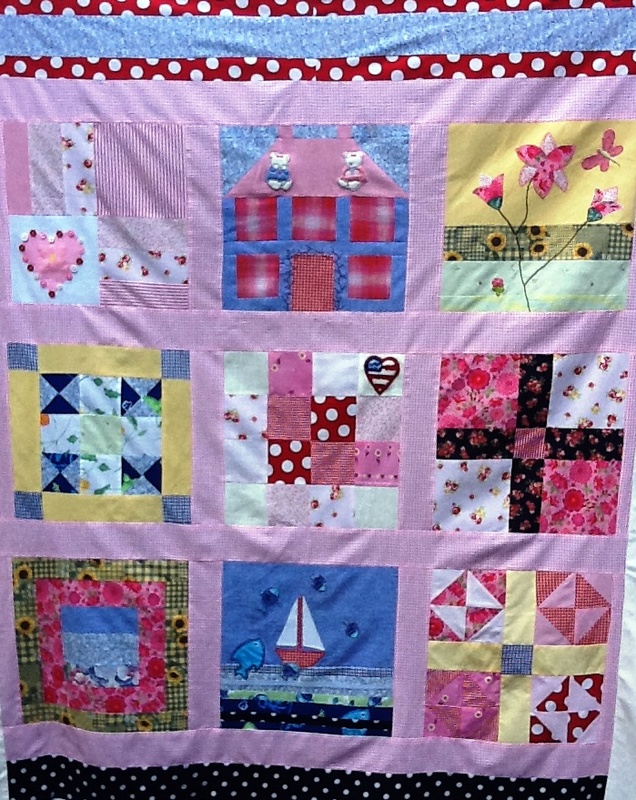 Molly’s dresses Quilt – Pink does rather predominate! 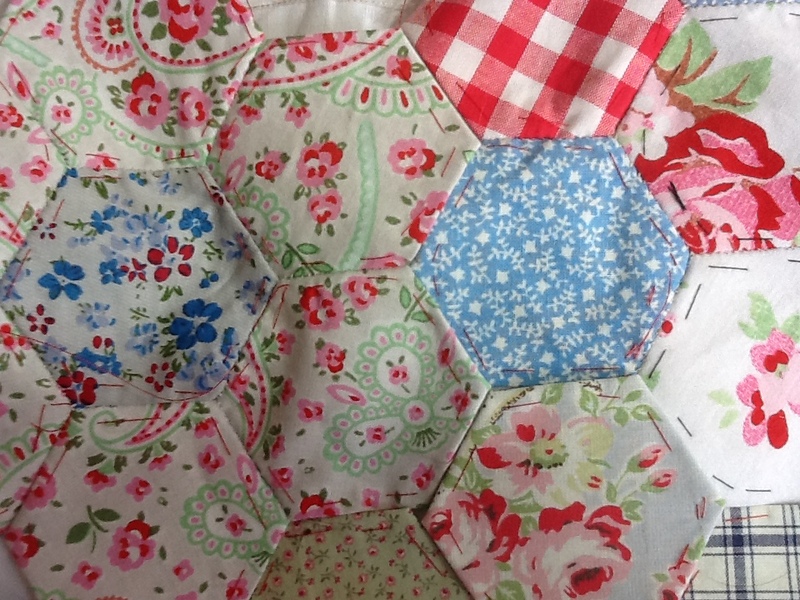 I have several patchwork quilts on the go; one is for my daughter which is being made from her baby dresses. I have been making this for a very long time! I have joked that ‘at this rate it will only be finished by the time she is 16’! Worryingly she is now 15 and I don’t know where the years have gone. If I think about it, I do; they have been wonderful! Another quilt project that I am working on is completely hand-sewn. I am making it from all the lovely scrap pieces of material, that are too small to do anything clever with, but too gorgeous or precious to throw away. 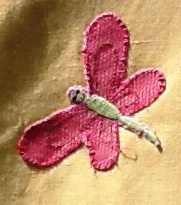 the pleasure of hand-sewing in a world that’s moving too fast. They are pentagon-shaped and instead of using paper or cardboard, I have ironed on a backing of fusible web. 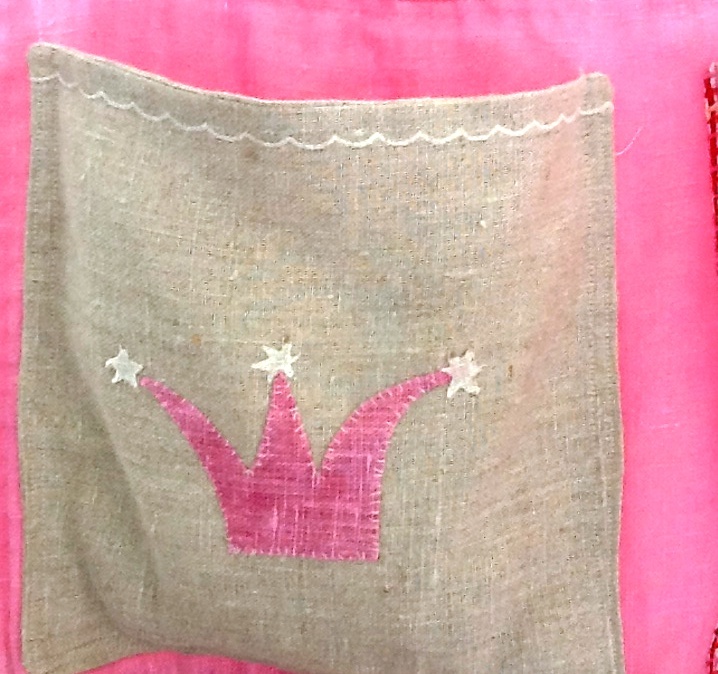 The fabric is folded around it, just as in the traditional way, but the backing will not be removed after the pieces are stitched together. 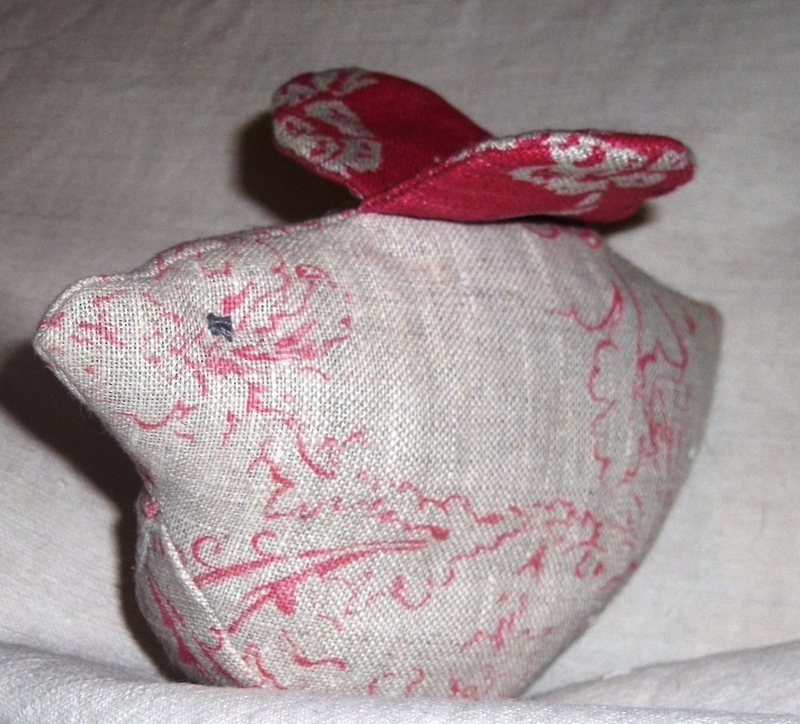 I think it will give a robustness to it – quite important as some of the fabrics are vintage and have been well-loved. 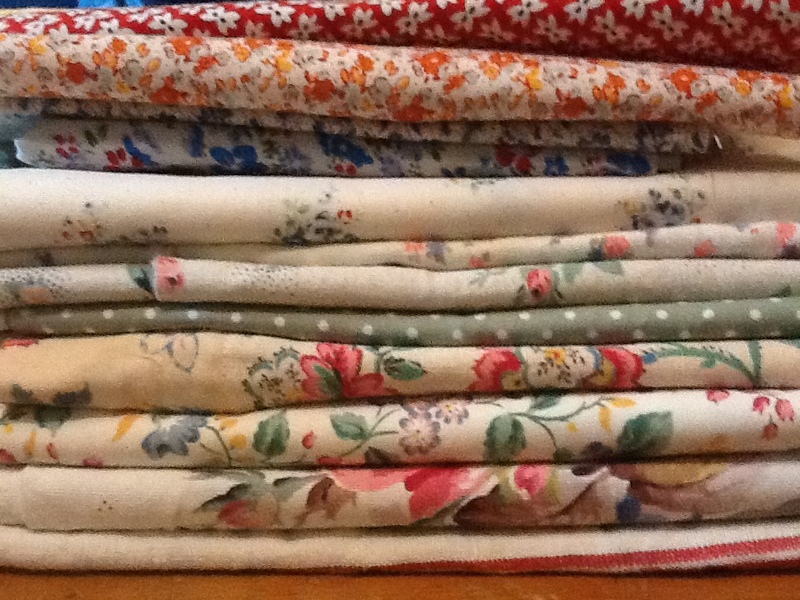 It is lovely to pick up and put down and you don’t even have to get out the sewing machine! Just sew a patch here and there; on a train journey, whilst waiting for dance or singing classes to finish (especially in the winter months – I think I had the idea that if I sewed enough it would keep my knees warm at the same time!) Nostalgically I am reminded of Nana in Ballet Shoes or White Boots, but not as frumpy of course! 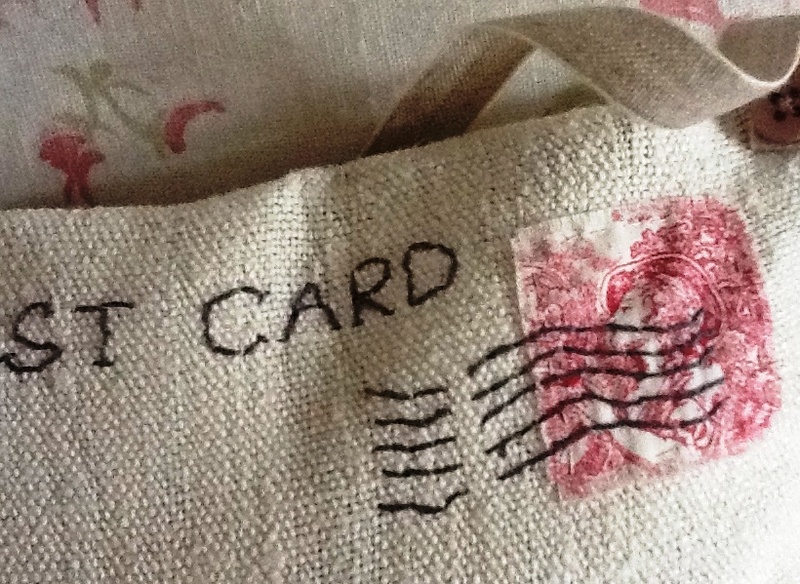 I was reminiscing about the Laura Ashley bags of scraps in my first blog – the patch-working here was made from some bought in the late 70s or early 1980s I think! Do you recognise the fabric? It must have been from an autumn/winter range as the fabric is brushed cotton. I’m not sure that this project will ever become more than a reminder of an era! Yet another quilt in progress is still in my head. I was lucky enough to buy a pattern book of Cabbages and Roses fabrics from a shop that was closing down, and I thought they would look lovely in big square patches. I was thinking of mixing these beautiful florals with lots of texture from velvets, wools and silky satins to create something wonderful to look at and to touch. 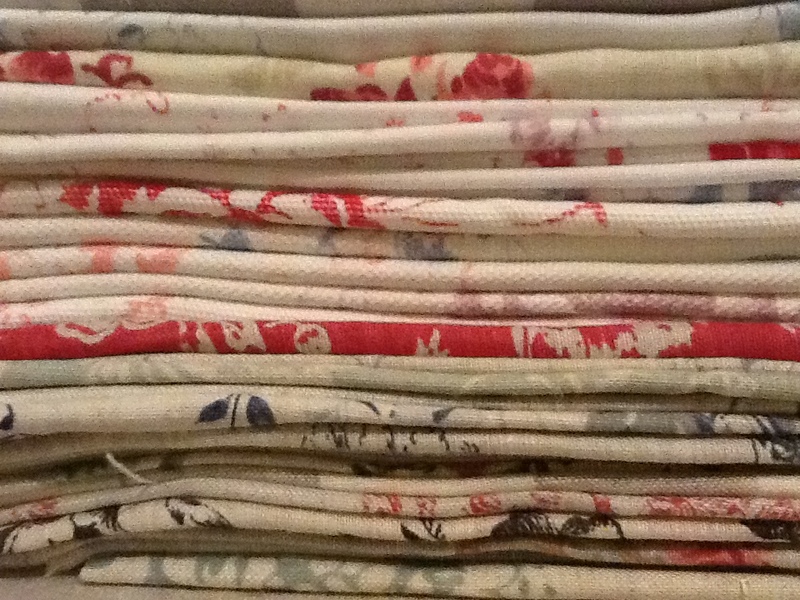 With all the bought and hand-made quilts I have, our beds resemble the Princess and the Pea! My husband is very long-suffering! 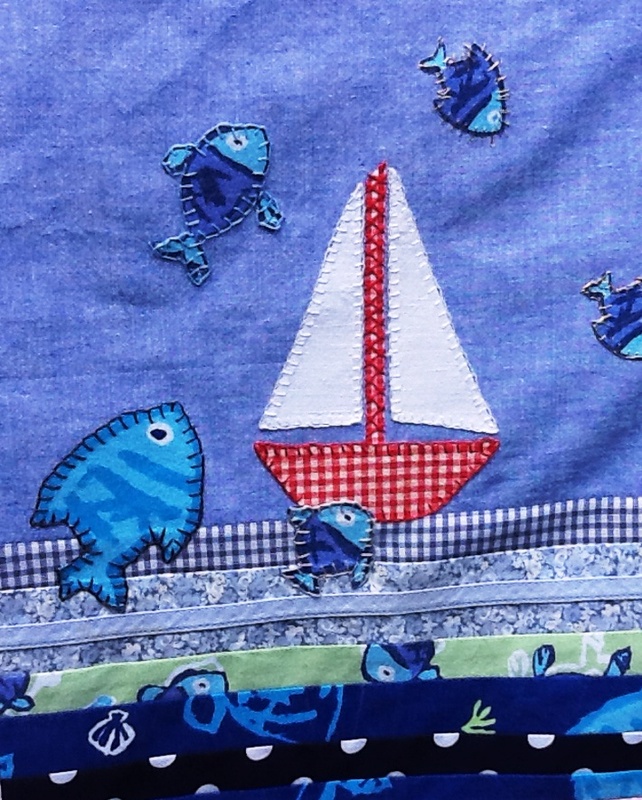 The really beautiful thing about patchwork is that not all of the fabrics have to be the most beautiful, but when they are woven together they form a special, unique combination; a beauty of their own – A metaphor for life really! And what goes in really does come out! 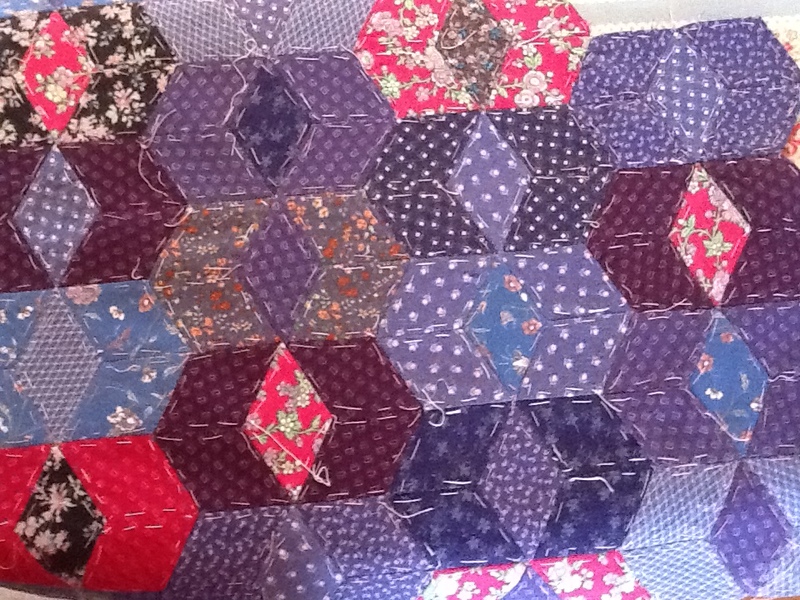 Whilst I am intrigued and drawn to patchwork and quilting, it is not my only love. It is SO time-consuming and sometimes the regimentation of it drives me mad. I have to escape to the next idea! Which is why a lot of beautiful and fun items have been made through the years; some are bespoke items made for friends and family; gifts to mark the birth of a new baby, a wedding or just to feature in a friend’s Summer House have been amongst the projects. I will be ‘posting’ some of these soon………..